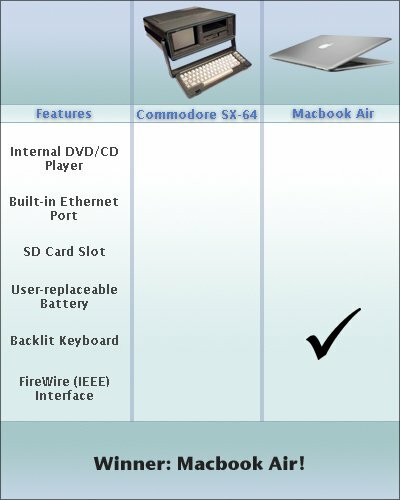 The MacBook Air is a totally amazing computer. Not only is it small, it’s feature set is amazing. Look at this comparision. “Over the past decade it has become increasingly obvious that countless web users are misrepresenting themselves by typing LOL (or "lolling” as it has come to be called) when they are NOT actually laughing out loud.“ - NoMoreLOL.com. All I can say is WTH. Or maybe I should say LOL. This is why Network Neutrality is important. MicroYahoo Part II: It’s really going to happen. Microsoft has made a $44.6 billion cash and stock bid for Yahoo!, a total of $31 per share. If you live in Italy, you can legally pirate music. A new copyright law passed legalizes P2P music downloading of any “degraded” music. That basically means anything in MP3 format.